Mirus IT Solutions are delighted to announce its membership and support for the new Milton Keynes Chamber of Commerce, established in July. The new Milton Keynes Chamber has no connection to the previous Milton Keynes & North Bucks Chamber, which closed its doors in February, and is being run by the same, experienced team behind the Northamptonshire Chamber, which was a finalist in the Chamber of Year category in the 2012 National Chamber Awards. 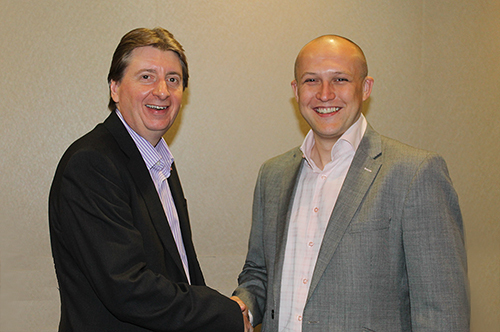 Paul Griffiths (pictured left), CEO of Milton Keynes Chamber of Commerce, joined Mirus MD Paul Tomlinson at Midsummer Breakfast Club at the Jury’s Inn Milton Keynes in July to build relations with the local business community.